The TT-R50E is a dream come true for junior. 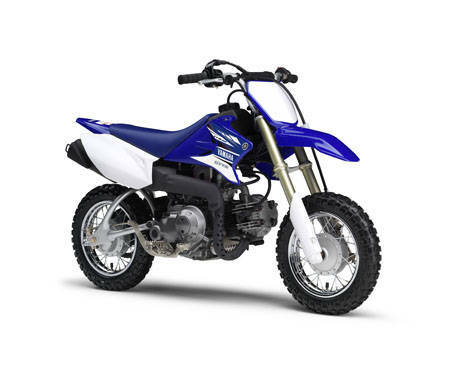 Everything about this rider-friendly mini-bike is designed to create a fun and enjoyable experience for four to seven year olds. 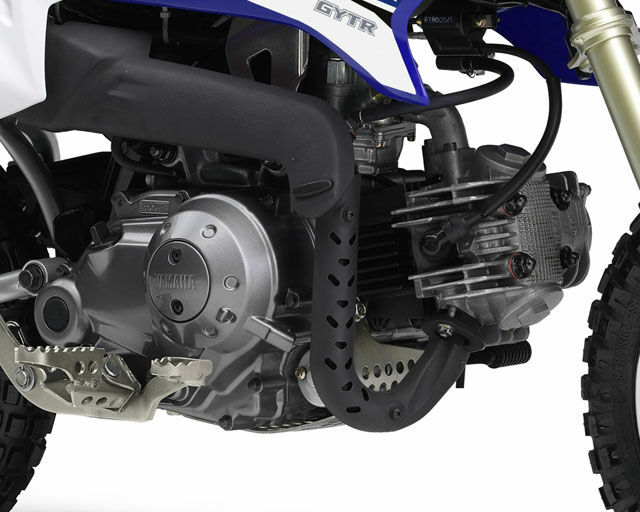 For simple riding, the electric-start 50cc 4-stroke engine is equipped with a semi-automatic 3-speed gearbox - and for added parental control the TT-R50E can only be started with the ignition key inserted. 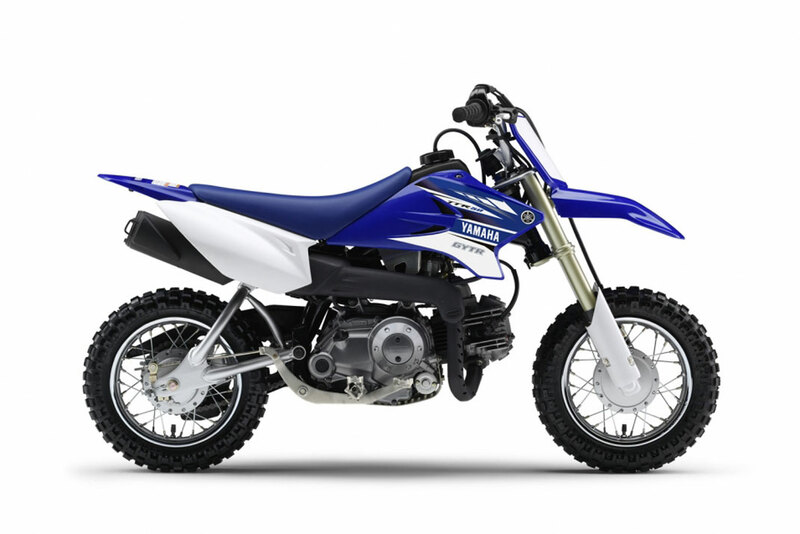 The rugged blue bodywork has been inspired by Yamaha’s GP-winning MX bikes, and with long-travel suspension and knobby tyres, the TT-R50E is ready to provide many hours of fun for all the family. The rider-friendly, stylish little TT-R50E is equipped with an electric-start 50cc 4-stroke engine, and with a 3-speed gearbox with automatic clutch it really is one of the most simple and enjoyable motorcycles to operate. And because it cannot be started without the ignition key, parents can take full control over its use. The TT-R50E features compact drum brakes for reliable, smooth and predictable stopping power, allowing new and inexperienced riders to develop their machine control skills. And for plenty of traction when riding off-road, this automatic mini-bike runs with 2.5inch wide knobbly tyres at the front and rear. Ergonomics on this 50cc mini-bike are designed to make the new rider feel instantly at home. The thoughtfully-developed handlebar/seat/footrest layout gives a comfortable upright riding position, and a low 555 mm seat height helps to make the smallest TT-R feel just right for beginners. Just like our larger-capacity off-road race bikes, the TT-R50E features long-travel front and rear suspension systems. With 96 mm wheel travel at the front and 71 mm wheel travel at the rear, the TT-R50E chassis is built to deliver high levels of riding comfort together with easy handling on bumpy off-road surfaces.